If you want to photograph dramatic aurora borealis (northern lights) you have to go far north. Or so I thought. I live in Calgary, Alberta, Canada which is about 140 miles north of the border with the US state of Montana. Some might consider it northerly, but at a latitude of 51 degrees, it is still a very long way from the Arctic Circle (66 degrees). I have specifically travelled the long distances to parts of northern Canada on many occasions to photograph auroras, but on this particular evening, I was headed to the south of Calgary without the thought of auroras on my mind. 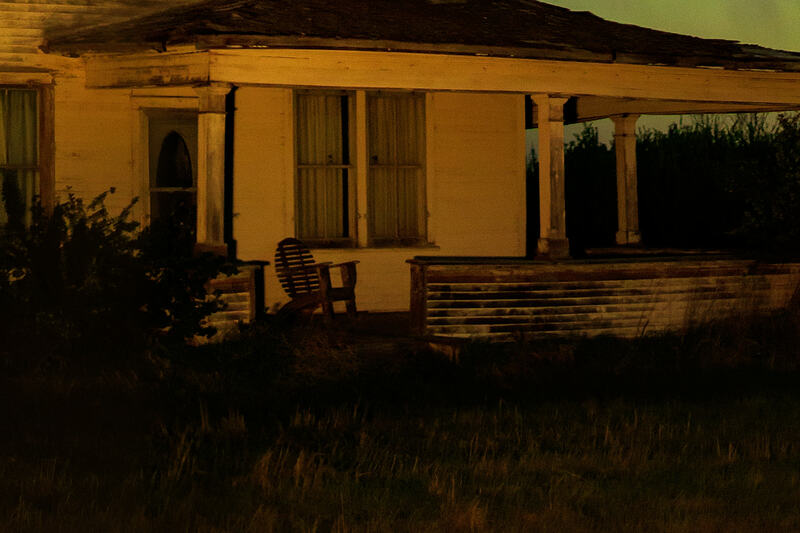 I was going to photograph sunset at one of my favorite old abandoned farm houses. The house has a great deal of charm and faces east so it is a great location to capture dramatic colorful skies to the west. After the sun had set, I headed over to an old barn a few miles away to photograph it in the fading light. Even though it was still twilight, with a hint of blue remaining in the sky, I could see a strange vertical cloud faintly appearing high in the northern sky. 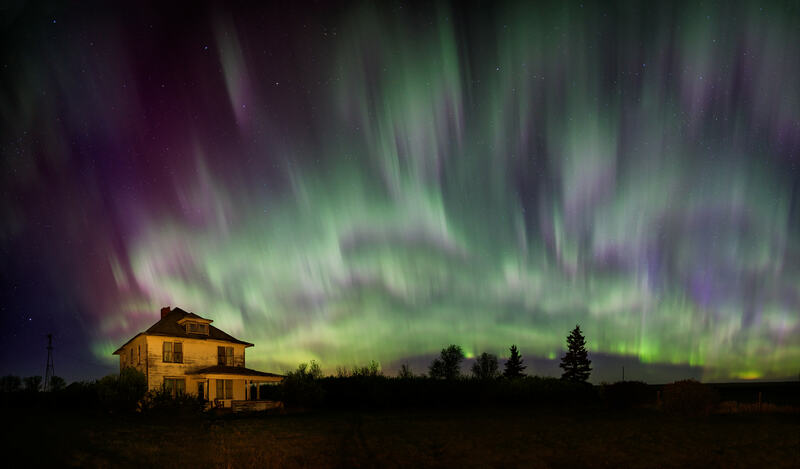 I knew from my experiences in northern Canada that it had all the earmarks of aurora. But it seemed impossible. 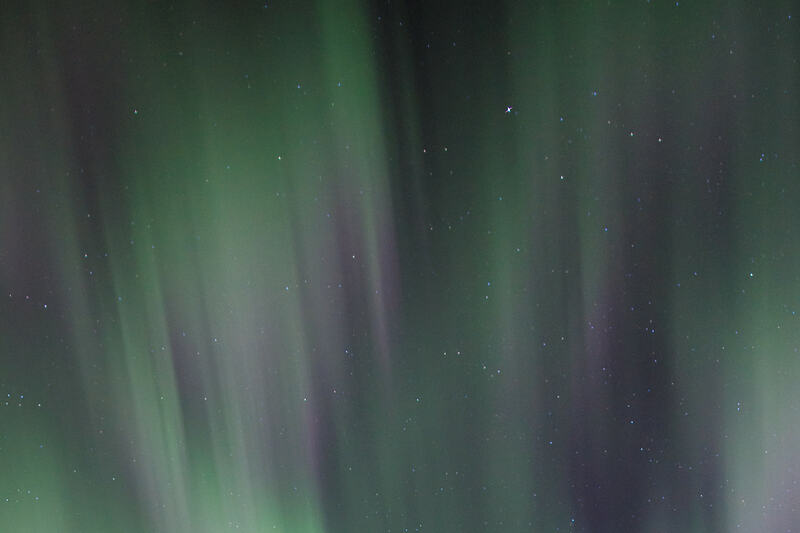 I was about an hour’s drive south of Calgary, and even north of the city, away from the light pollution, auroras usually only appear as a green glow on the horizon - and never the overhead dancing lights, like I had experienced in northern Canada. But there it was. 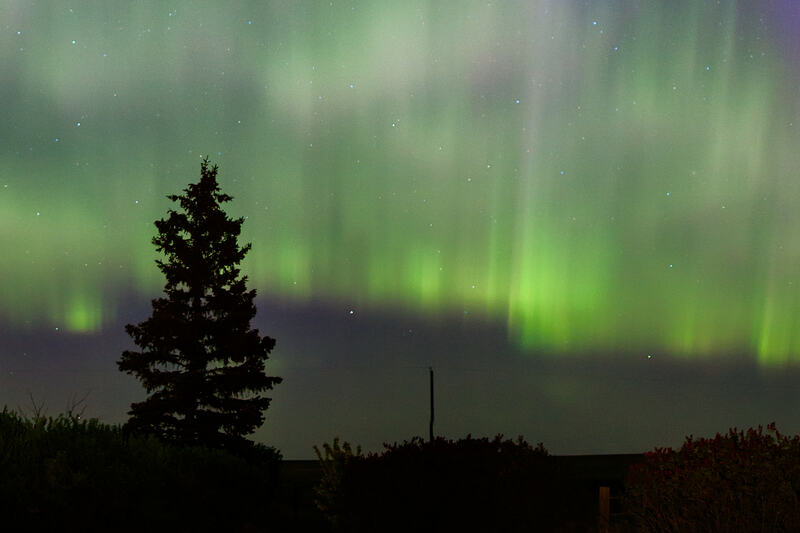 As the night sky grew darker, a fantastic aurora lightshow became visible. 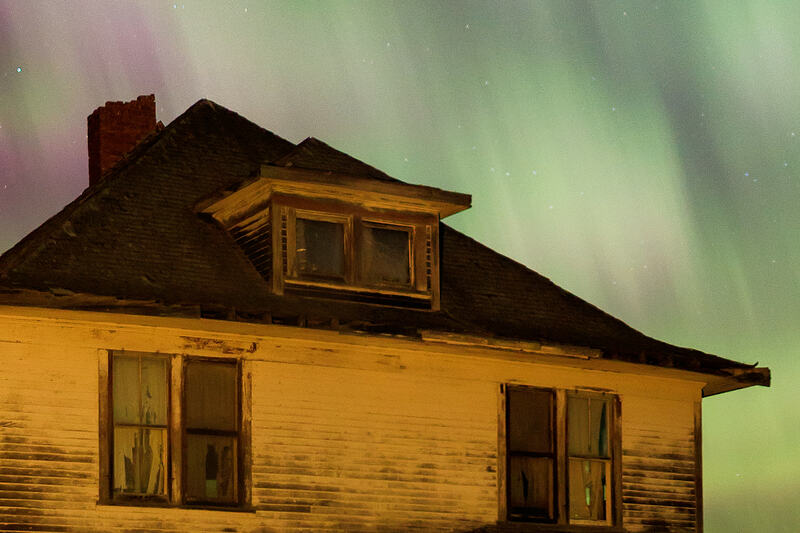 Aurora borealis can be very fleeting, there one minute and gone the next. I dare not risk changing locations, for fear of finding that the best show happened while I was stuck behind the wheel. But after seeing that this night’s geomagnetic storm was one for the record books and exhausting all the compositions I could think of at the old barn, I made the decision to race back to that favorite old farmhouse. Once there, I grabbed the special equipment I needed to create a VAST photo and set it up in front. The lightshow did not disappoint; it was as active as any I have ever experienced. 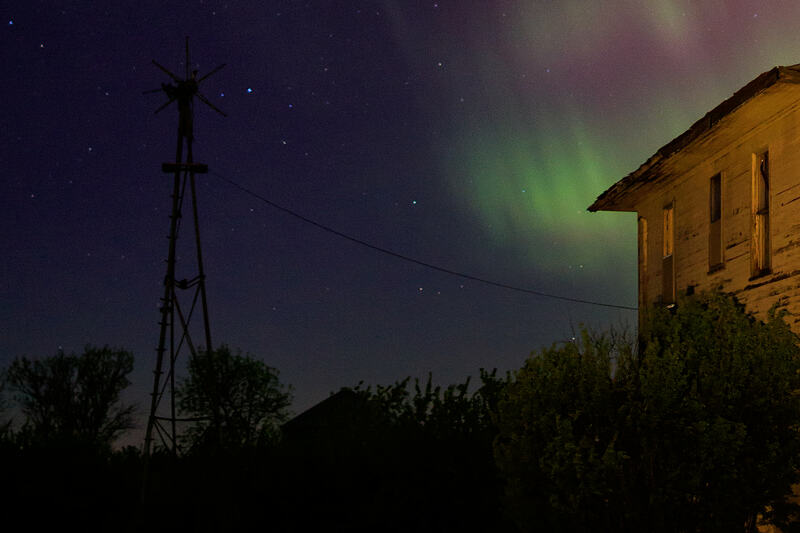 I used a flashlight to illuminate the old farmhouse and let the aurora take care of illuminating the sky with green and purple. At about 2am, I could shoot no longer. I was exhausted but exhilarated. It had been an unexpectedly long evening, with a magnificent aurora lightshow in the most unexpected of locations, resulting in the creation of an exceptional, once in a lifetime photograph.